The International Reel Youth Film Festival is screened across Canada and internationally, in partnership with established film festivals, youth media organizations, schools, and community groups. When you submit your film to Reel Youth, it's like submitting your film to festivals around the world, and it's FREE! from the artist to use. 5) have a high quality NTSC file available. of each screening on the tour. 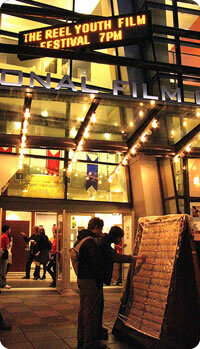 Vancouver International Film Festival, our favorite partner.